Available in TropiKane® Hatch Weave only. 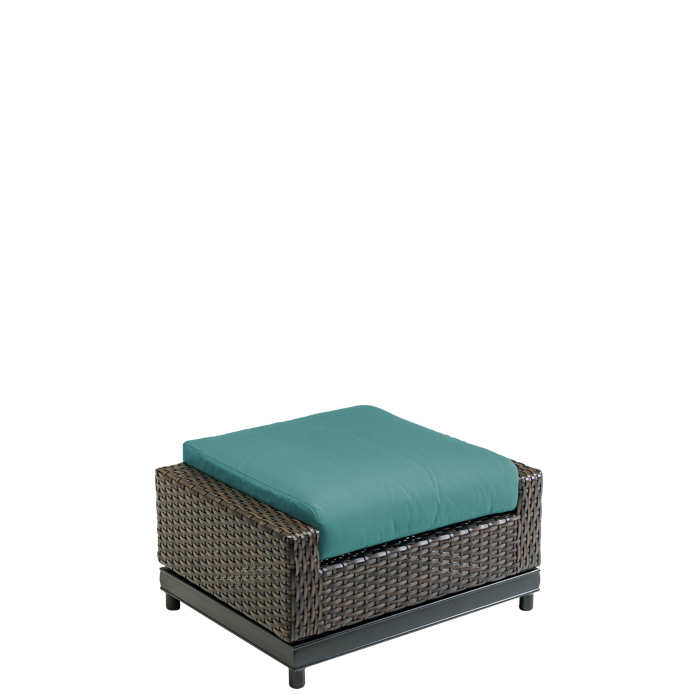 Designed by Peter Homestead, the MainSail Woven Ottoman features mixed materials with a gracious TropiKane® Reisenweave and powder-coated aluminum elements. Cushions provide long-lasting comfort and encouraging casual relaxation. Whether lounging by the pool, or relaxing on the patio, MainSail Patio Furniture was developed to enhance outdoor living.